PennsylvAsia: Pitt magazine profiles ten influential Korean alumni. Pitt magazine profiles ten influential Korean alumni. The Winter 2018 issue of Pitt magazine profiles ten Korean alumni of the University of Pittsburgh influential in growing education, business, and government in South Korea. [Byong Hyon] Kwon was part of the first wave of South Korean students at Pitt. Today, South Korea has a large and organized Pitt alumni base. Its members include leaders in education, technology, government, the private sector, nursing, and public health. They are part of the colossal effort that turned the world's second-poorest nation into the 11th largest economy---in just three decades. 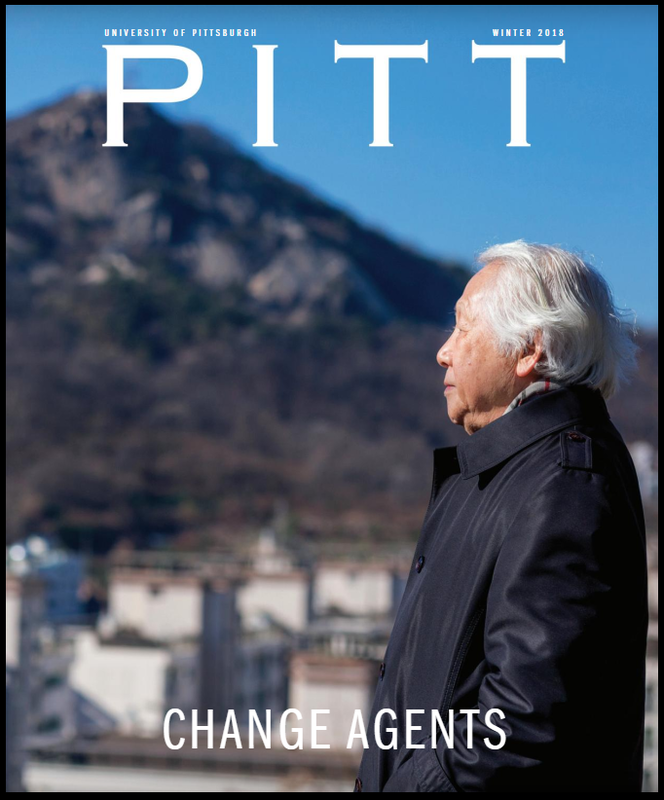 The print magazine has a lengthy profile on Kwon---a 1968 GSPIA graduate, former Korean ambassador to China, and president of Future Forest---and snapshots on nine others; the Pitt magazine website has full profiles on everyone. There have been many other influential Koreans at Pitt over the years. Young Woo Kang, who died in 2012, is one example. Kang earned his PhD from the School of Education in 1976, and was the first blind Korean student to ever earn a doctorate.